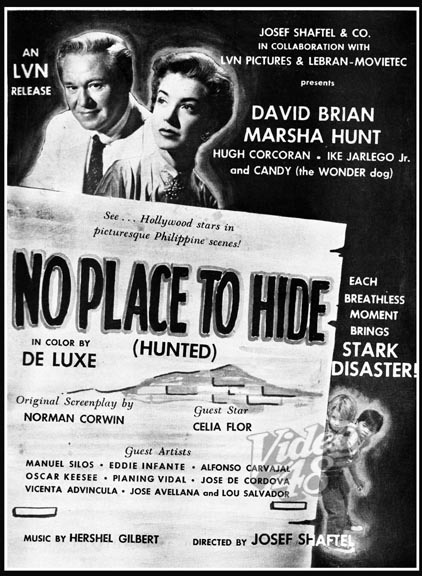 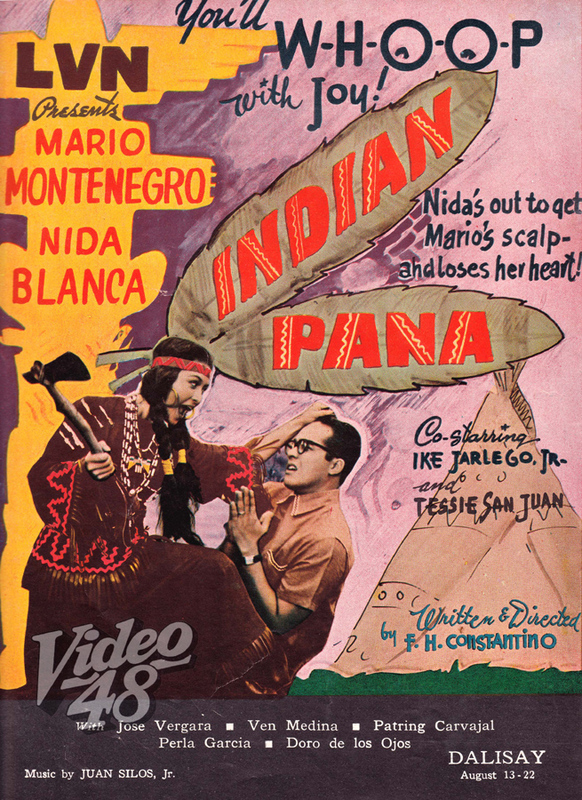 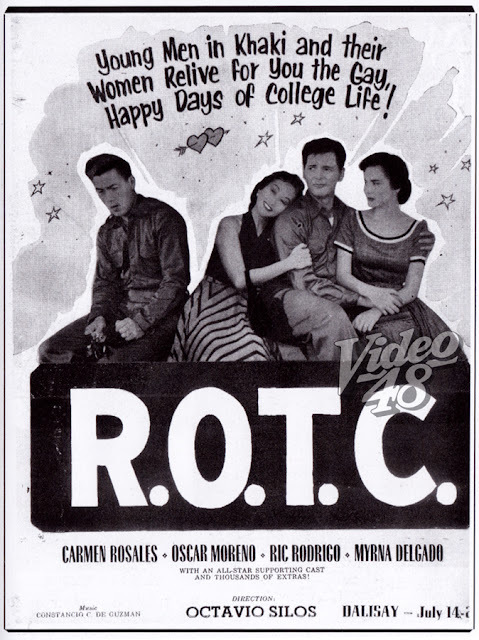 Did you know that Marsha Hunt, a popular American film, theater, and television actress who was blacklisted by Hollywood movie studio executives in the 1950s, appeared in a Filipino-American movie titled, No Place to Hide? Director Josef Shafter & Co. collaborated with LVN Pictures and Lebran-Movietec to come up with a beautiful movie shot entirely in the Philippines. 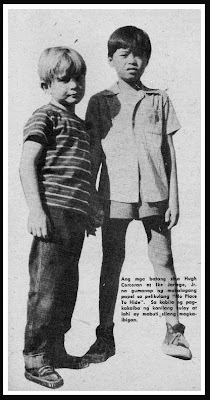 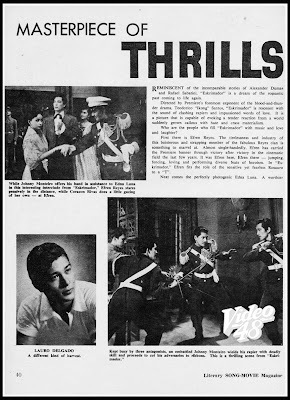 Filipino child star Ike Jarlego, Jr. had a memorable major role in the movie as one of the two boys on the run carrying a deadly gelatine-coated capsules, mistaking them for marbles. 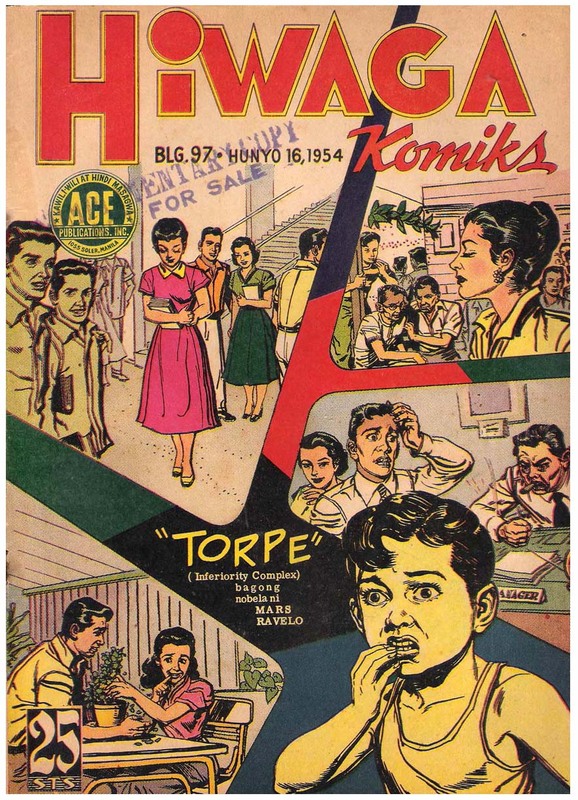 These capsules when released would wipe out a whole city. 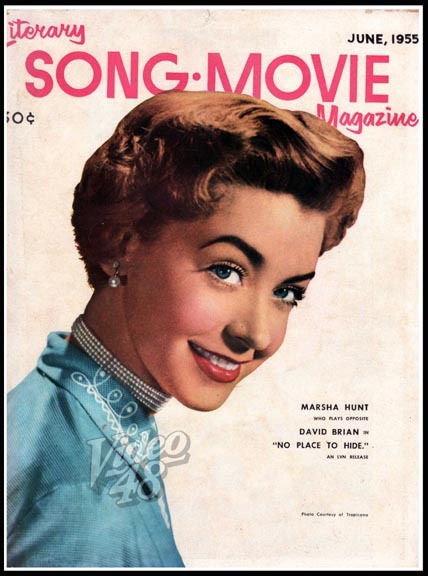 During the late 1930s and into the 1940s, Marsha Hunt (b.1917) signed a number of petitions promoting liberal ideals. 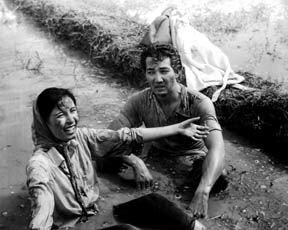 She was also a member of the Committee for the First Amendment. 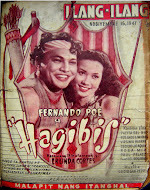 Because of this association her name appeared in the pamphlet Red Channels. 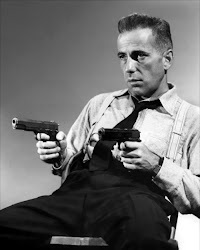 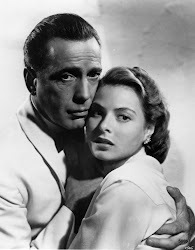 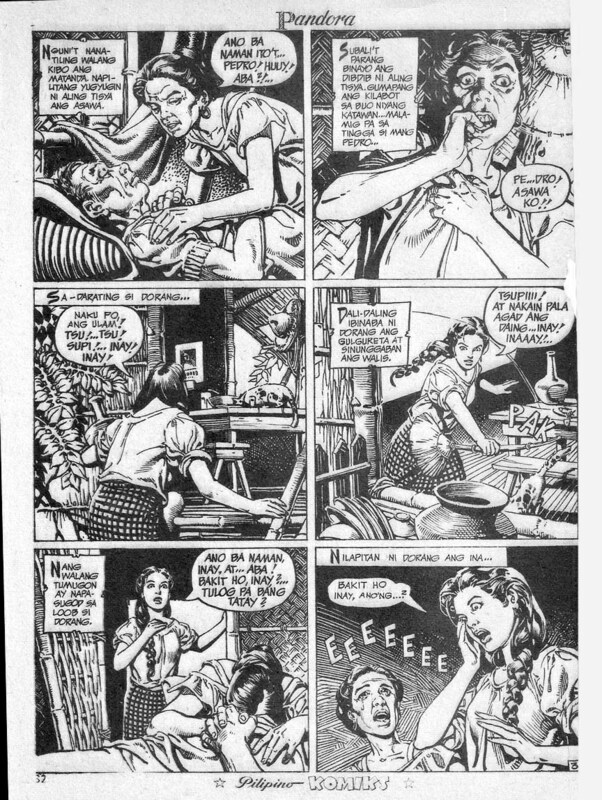 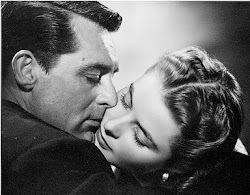 And although she and her husband, Robert Presnell, were never called before the House Un-American Activities Commission (HUAC), like Charlie Chaplin, their names were put on the blacklist, and they found it extremely difficult to find work. 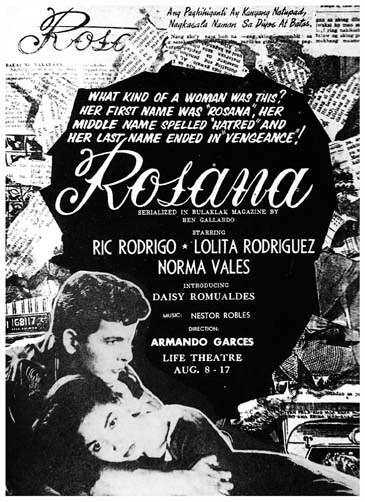 On October 27, 1947, she flew with a group of about 30 actors, directors, writers, and filmmakers (including John Huston, Humphrey Bogart, Lauren Bacall and Danny Kaye), to Washington D.C. to protest the actions of Congress. 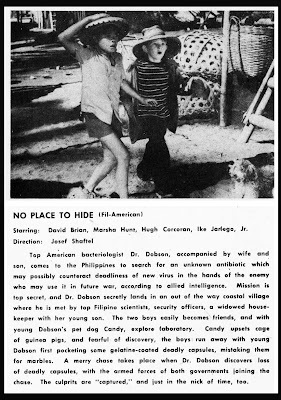 When she returned to Hollywood three days later, things had changed. 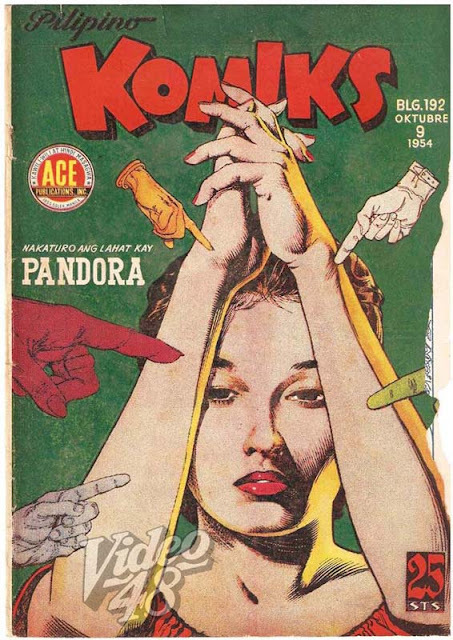 She was asked to denounce her activities if she wanted to find more work, but she refused. 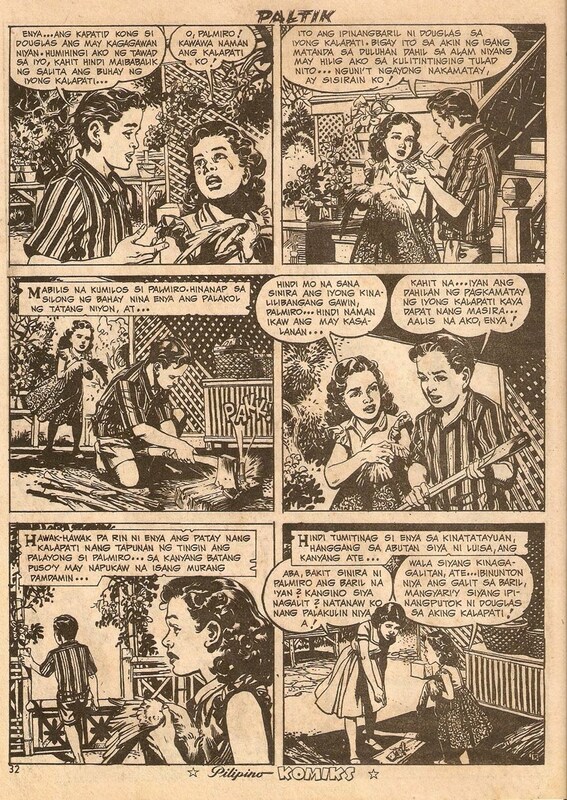 For her, the issue here was not Communism, but freedom of speech, privacy of opinion, freedom of advocacy, and freedom of democracy. She did keep working until the publication of Red Channels, but afterwards it became very hard. 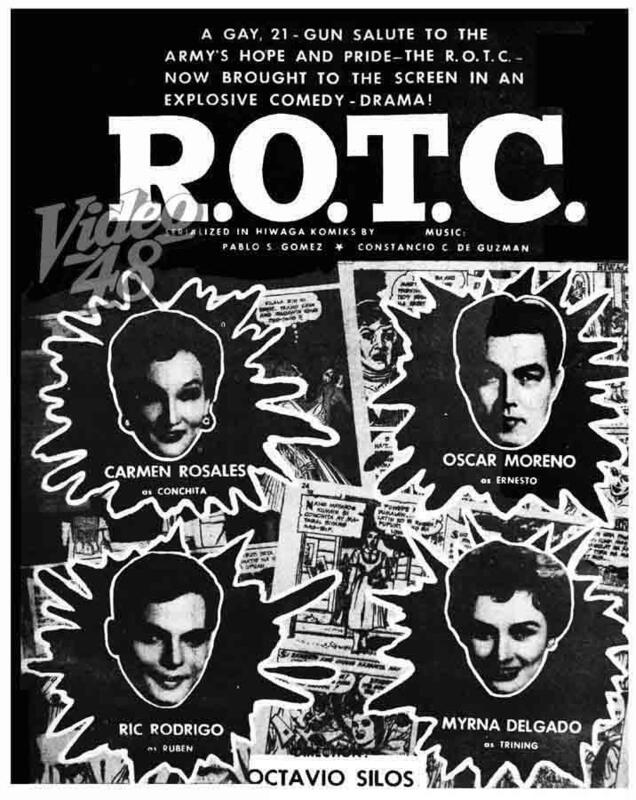 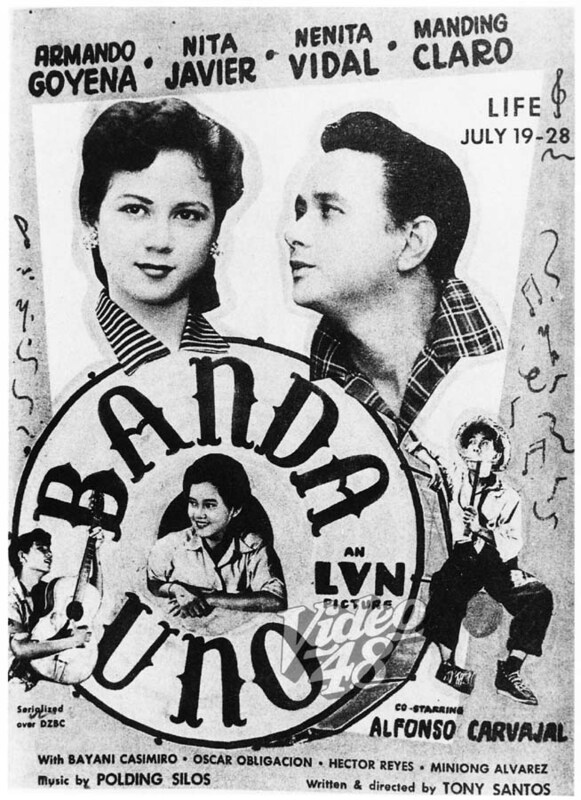 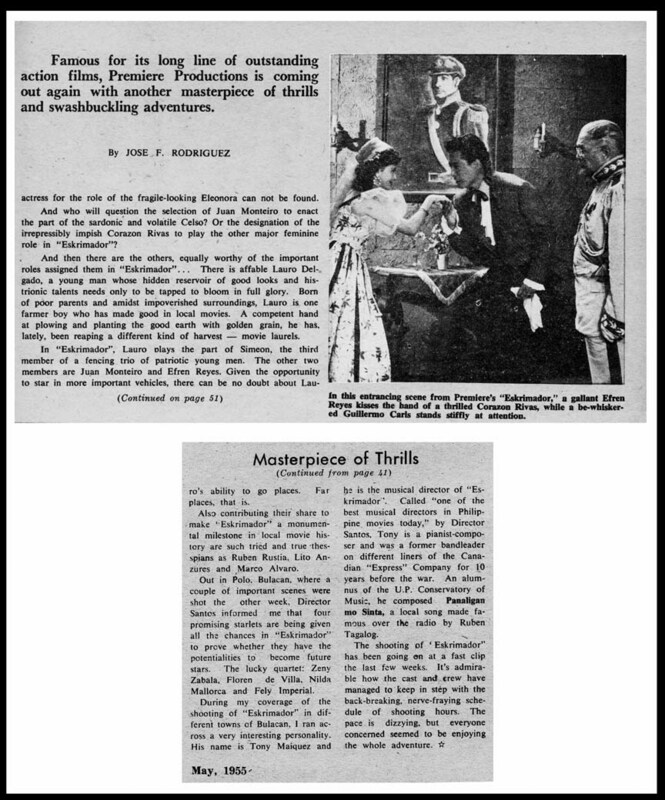 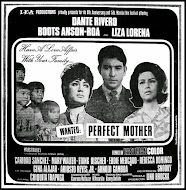 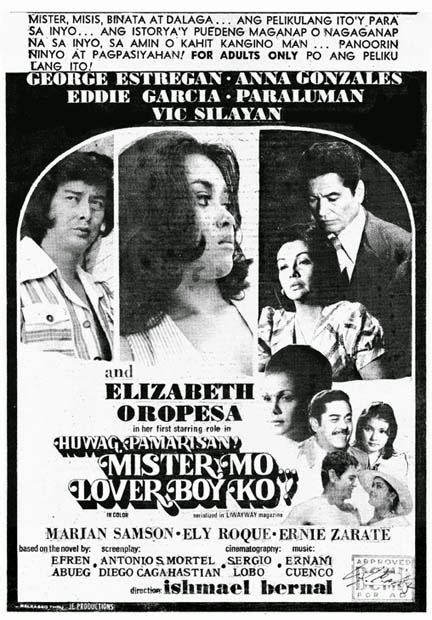 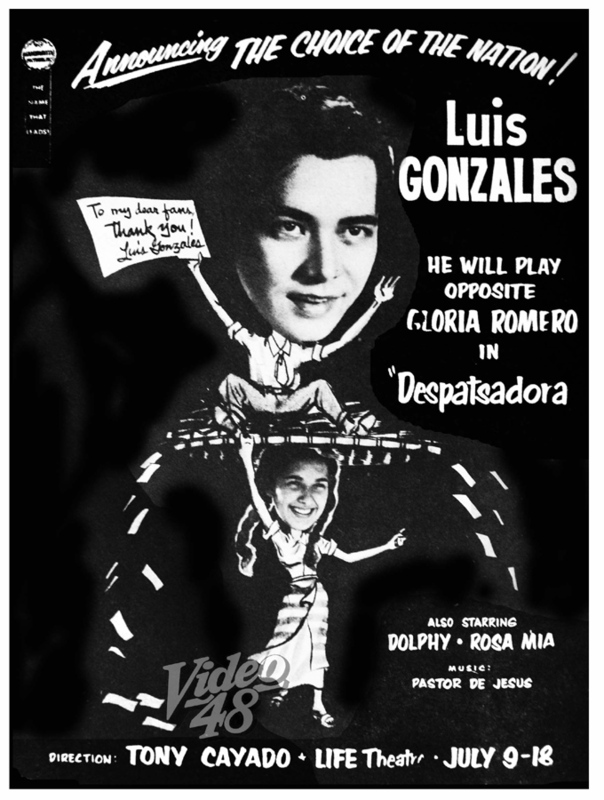 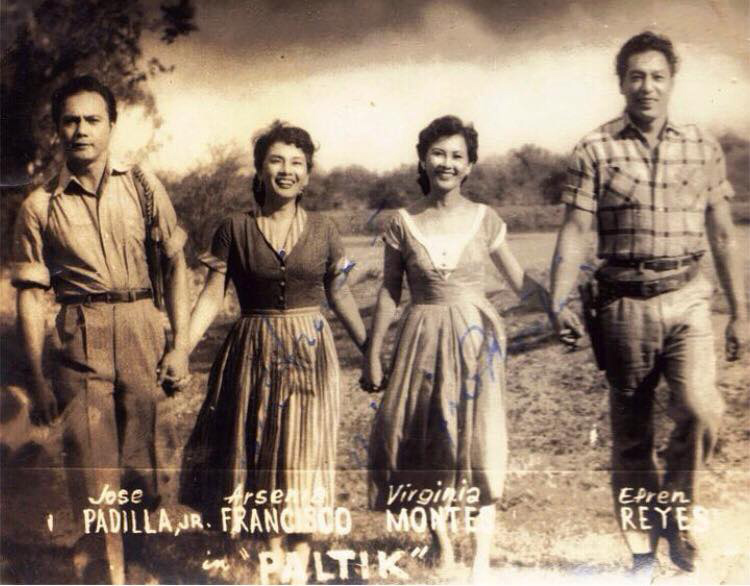 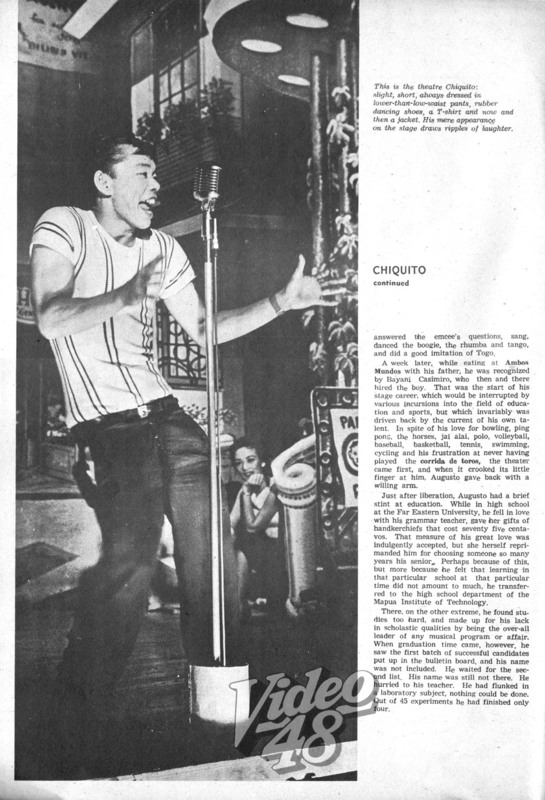 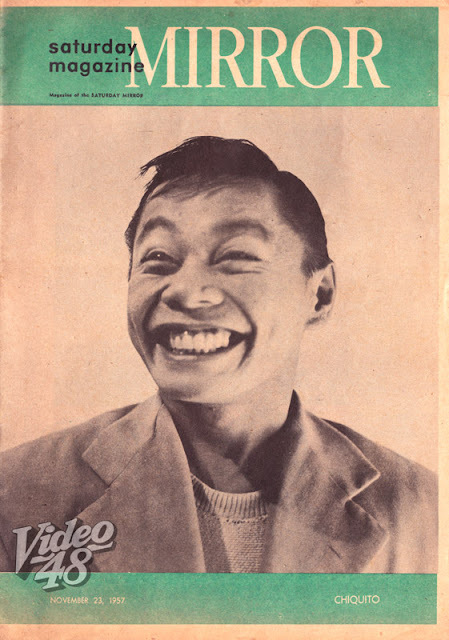 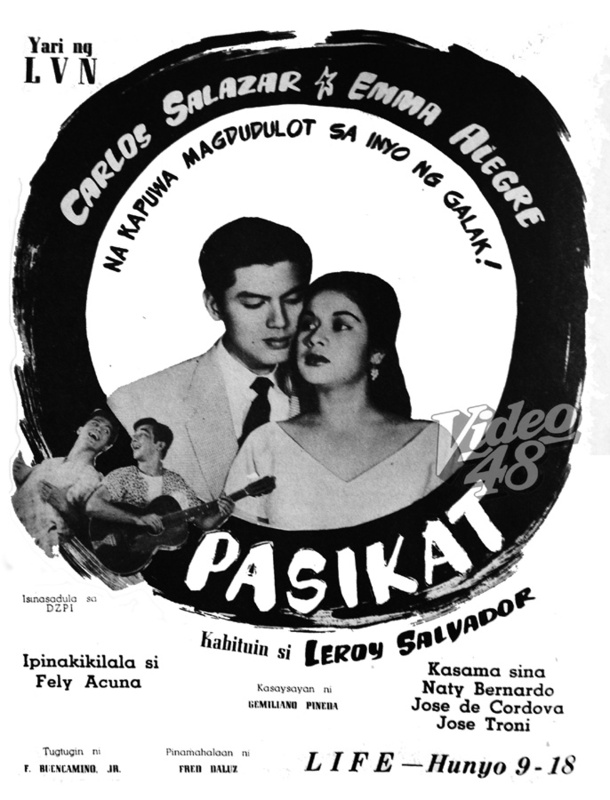 To make a Filipino adaptation of Frank Capra's It Happened One Night, LVN launched a search for a new face, an instant star so to speak, and that new face turned out to be Charito Solis. 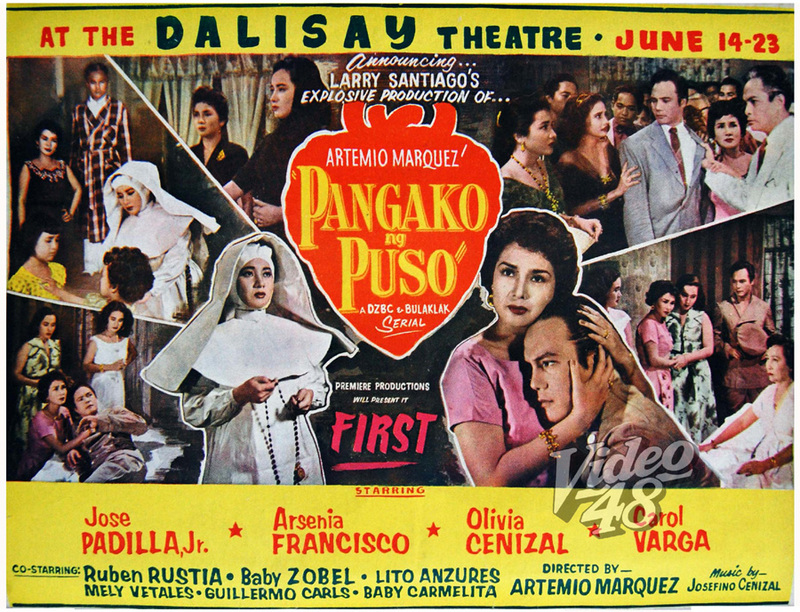 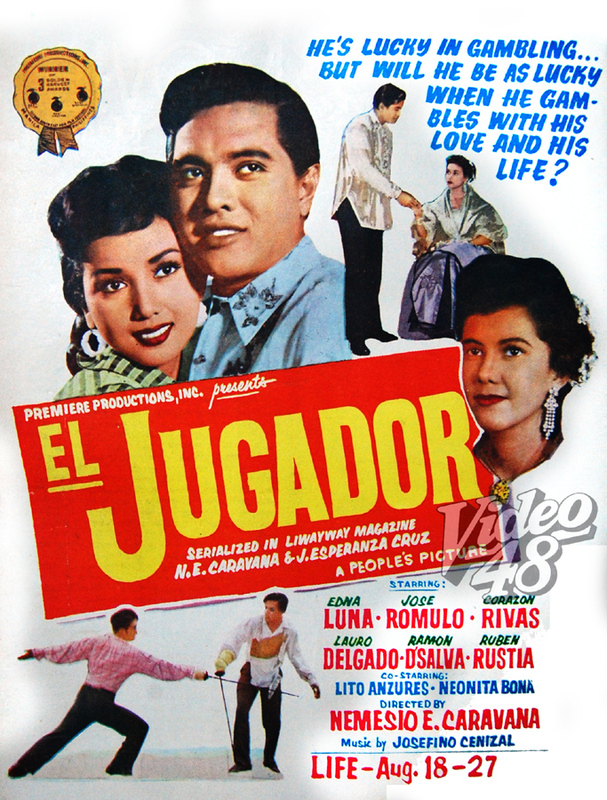 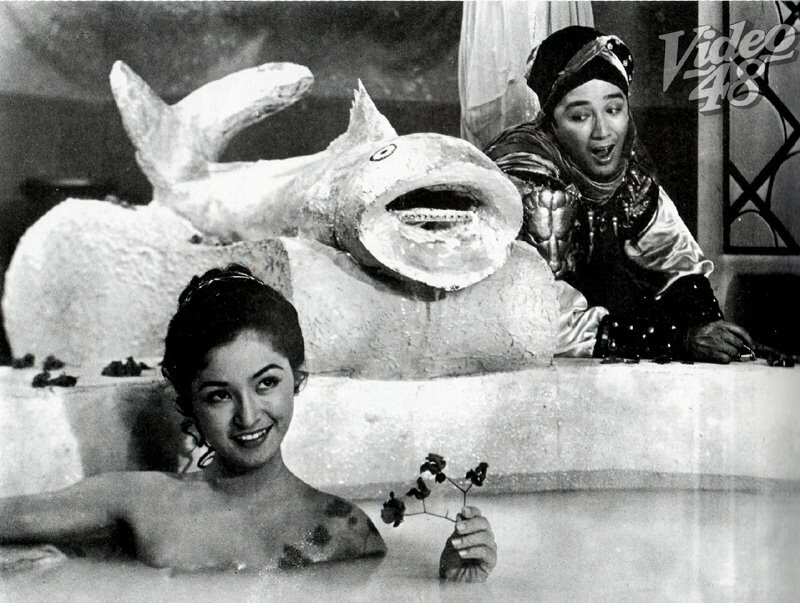 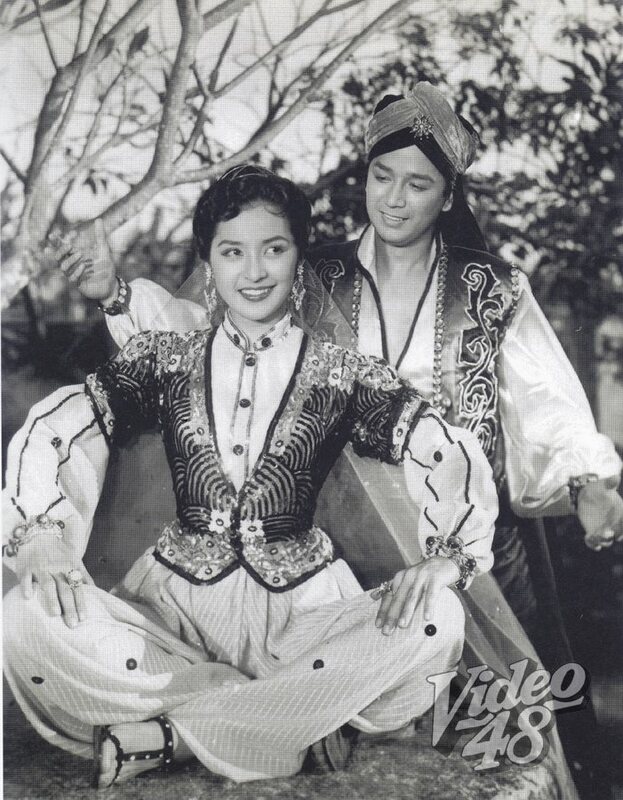 The film was a hit and Charito became the 'Cinderella Star' and eventually one of Philippine cinema's most enduring icons. 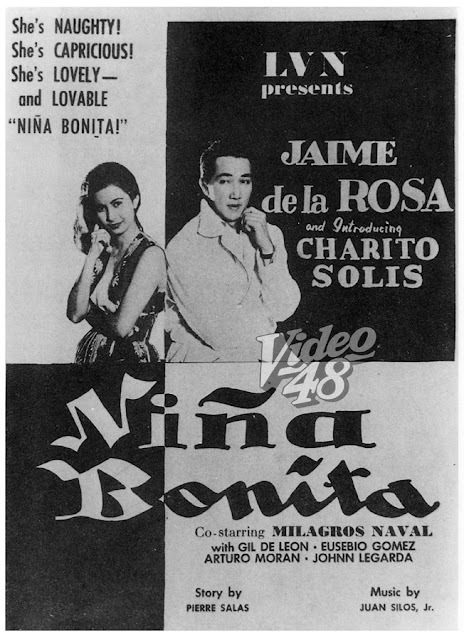 In Niña Bonita, Charito portrays a rich but very spoiled girl who insists on marrying a man who is obviously only after her money. 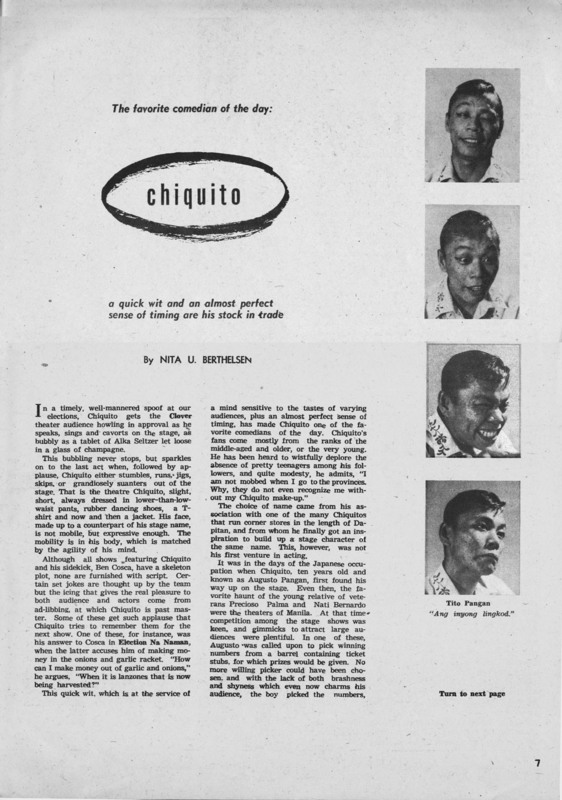 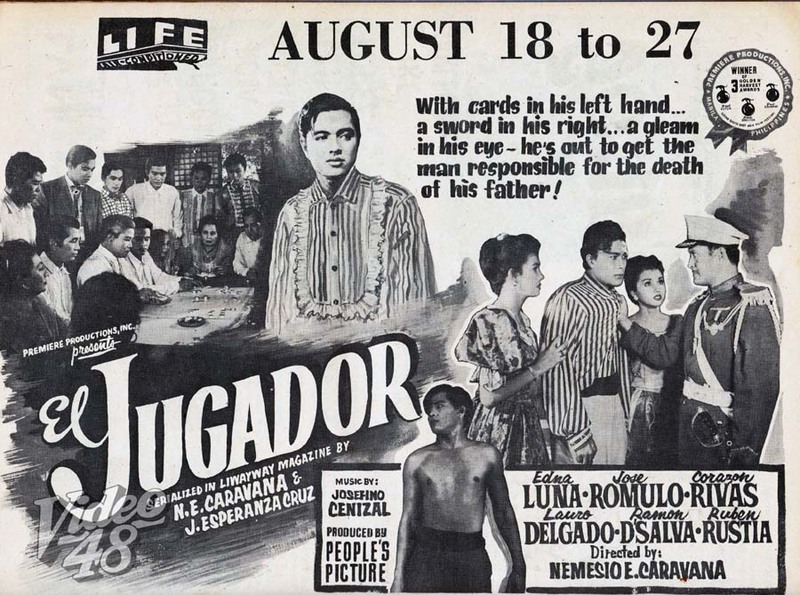 While holed up in their vacation house in Baguio, Charito manages to escape and in a bus, meets a seasoned newspaper reporter (Jaime de la Rosa), who is in dire need of a scoop. 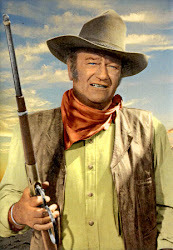 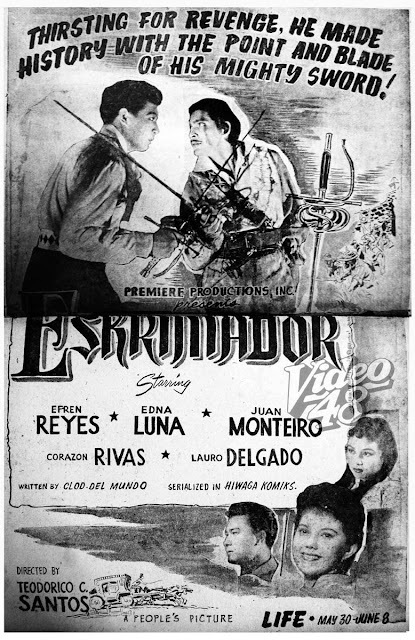 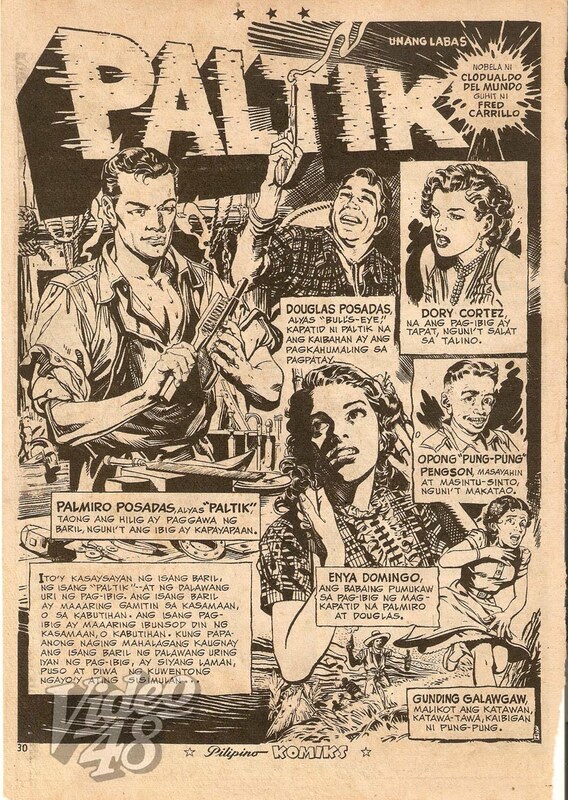 Likened to some of Hollywood’s top swordsmen like Errol Flynn, Douglas Fairbanks or even Basil Rathbone, 50s action greats Efren Reyes (Sr.) and Juan ‘Johnny’ Monteiro starred in an action- adventure epic aptly titled Eskrimador. 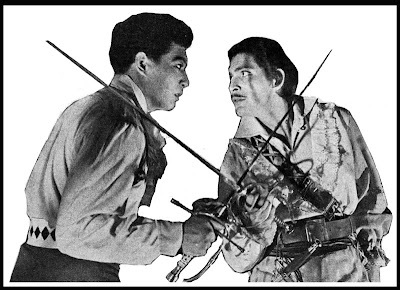 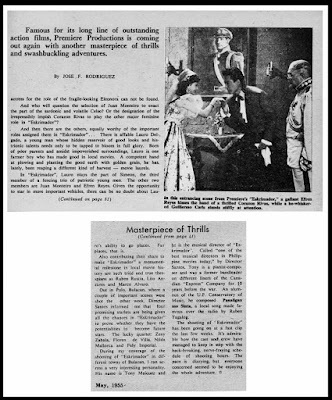 The two popular stars displayed their dashing mantle of swordplay, debonair acrobatics and daring stunts. Their mastery of the sword thrilled their fans and seeing them leaping over parapets, rescuing exotic princess with one hand and effectively foiling the opposition with adept thrusts of the sword. 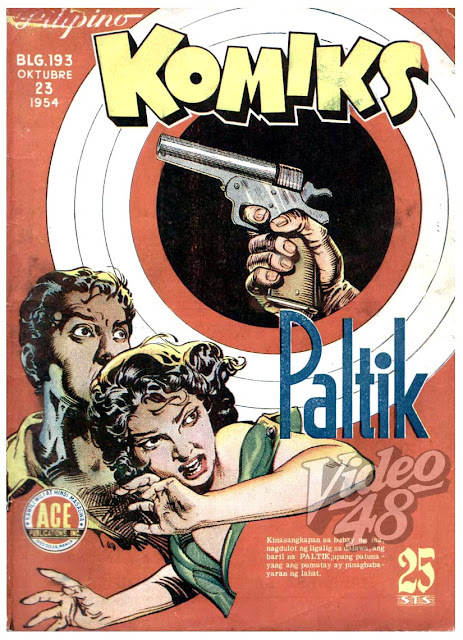 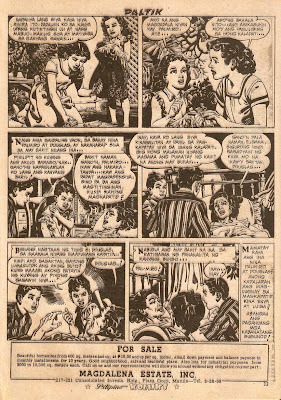 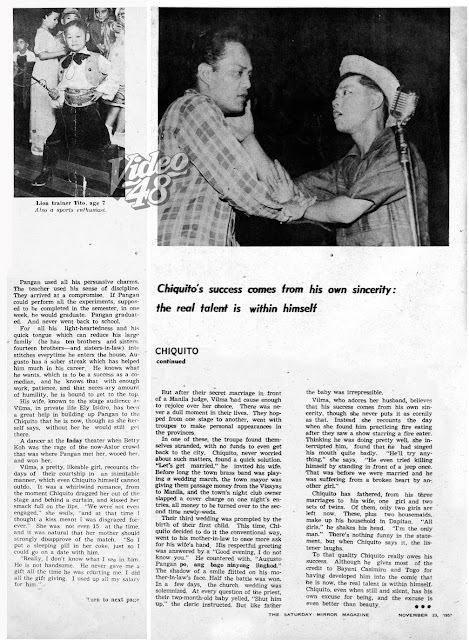 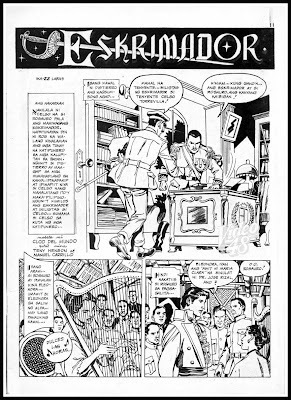 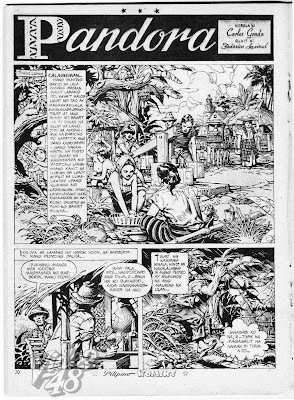 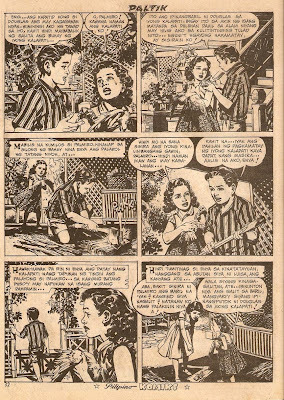 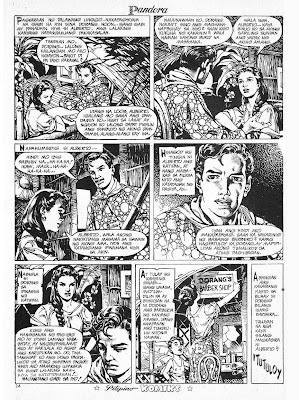 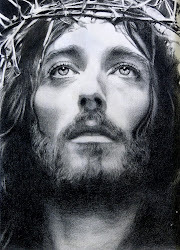 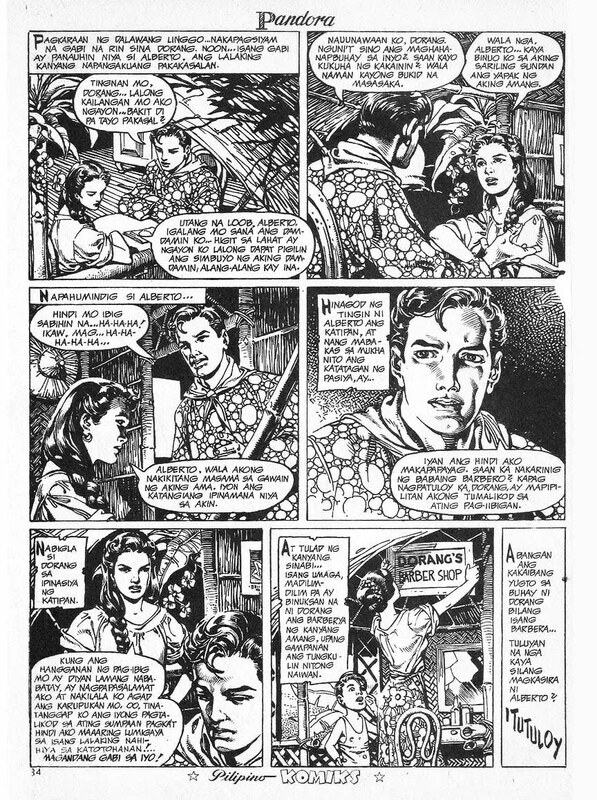 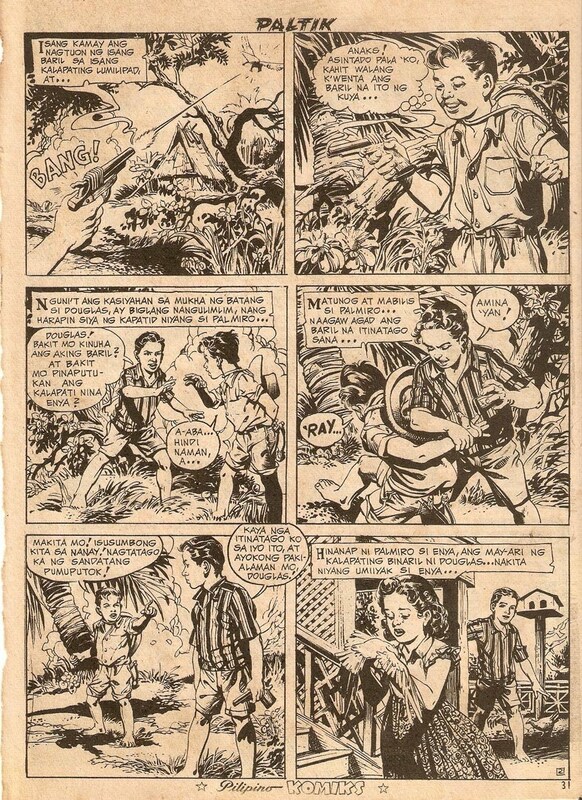 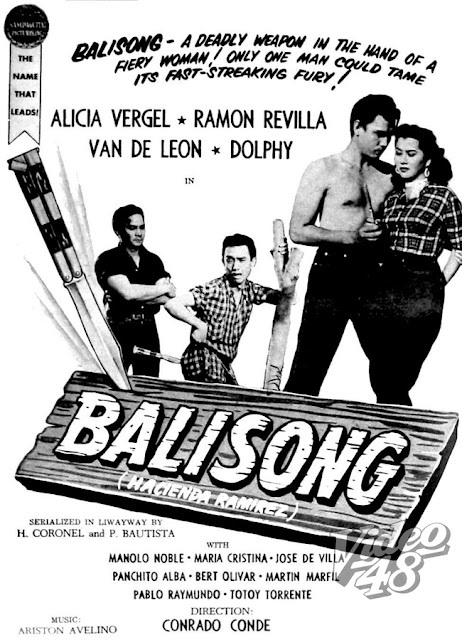 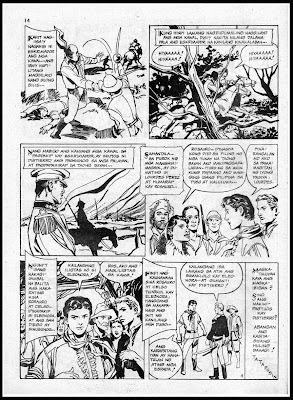 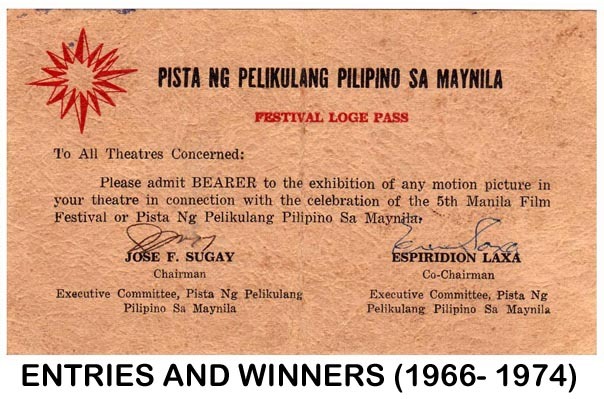 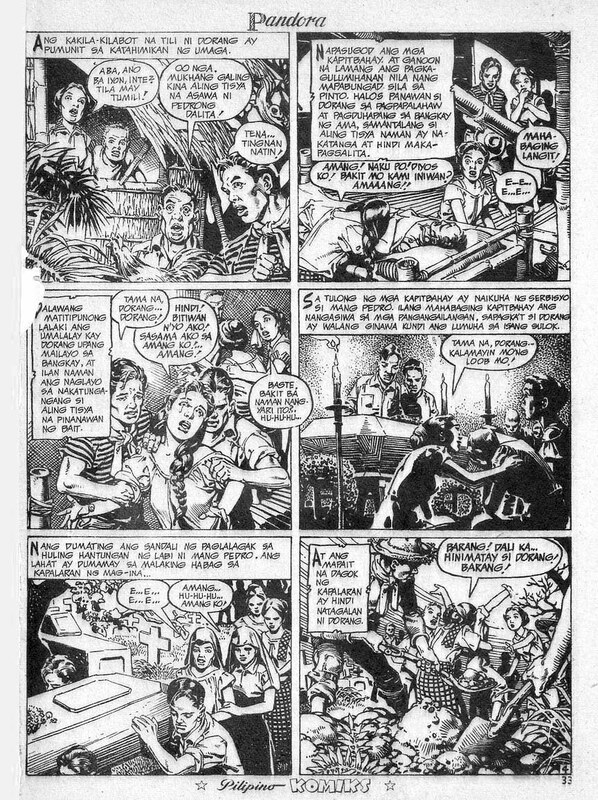 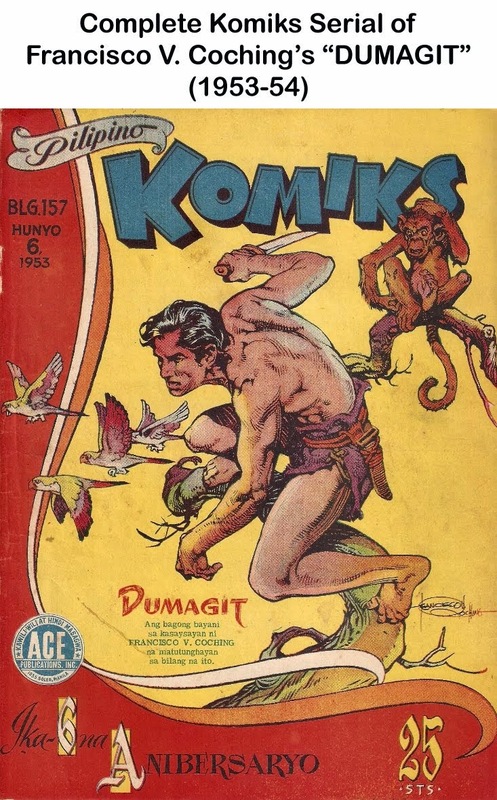 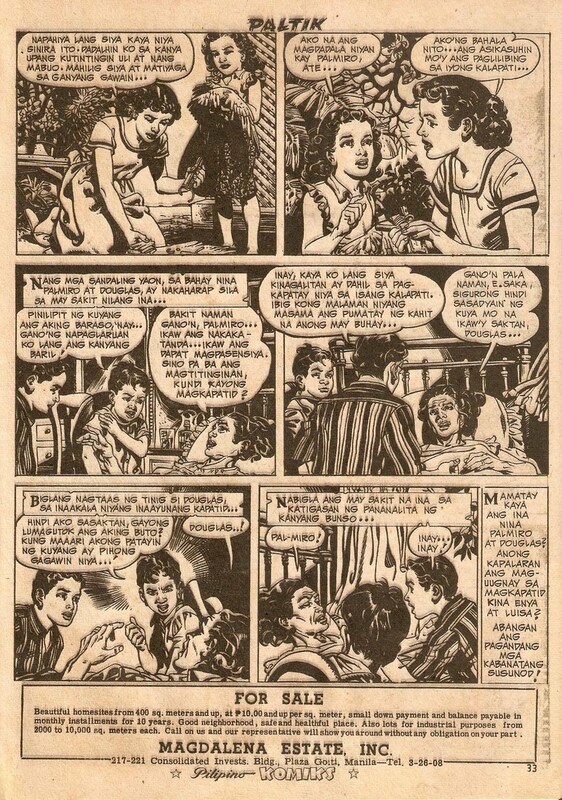 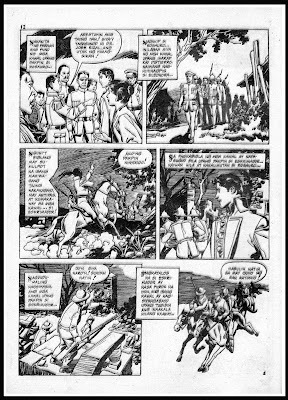 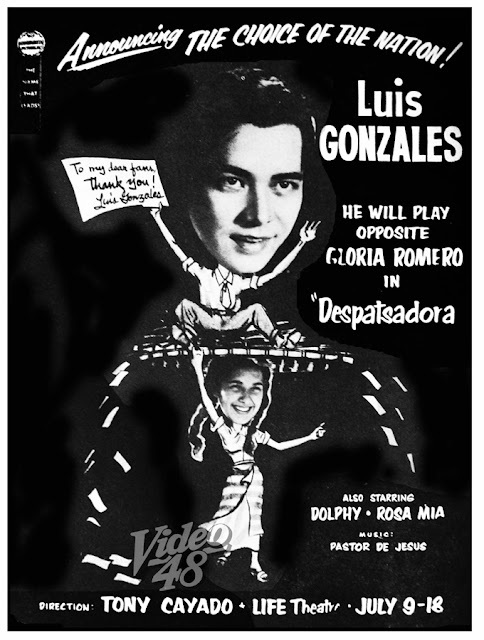 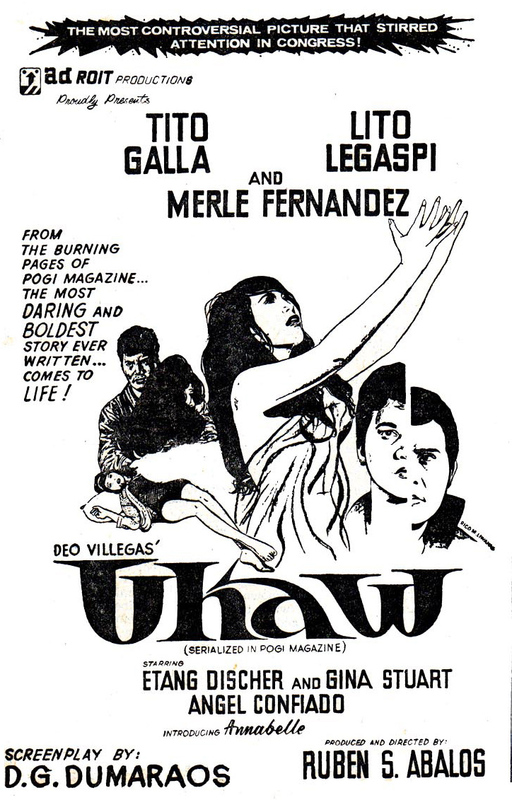 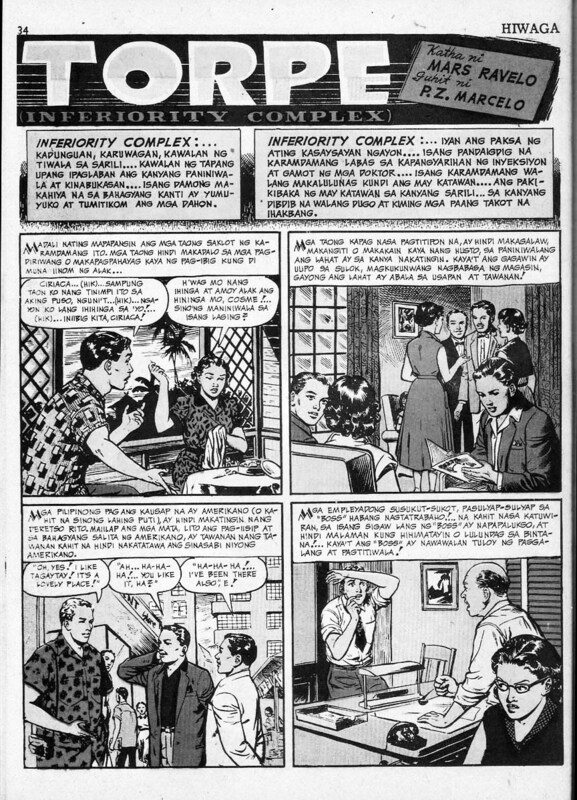 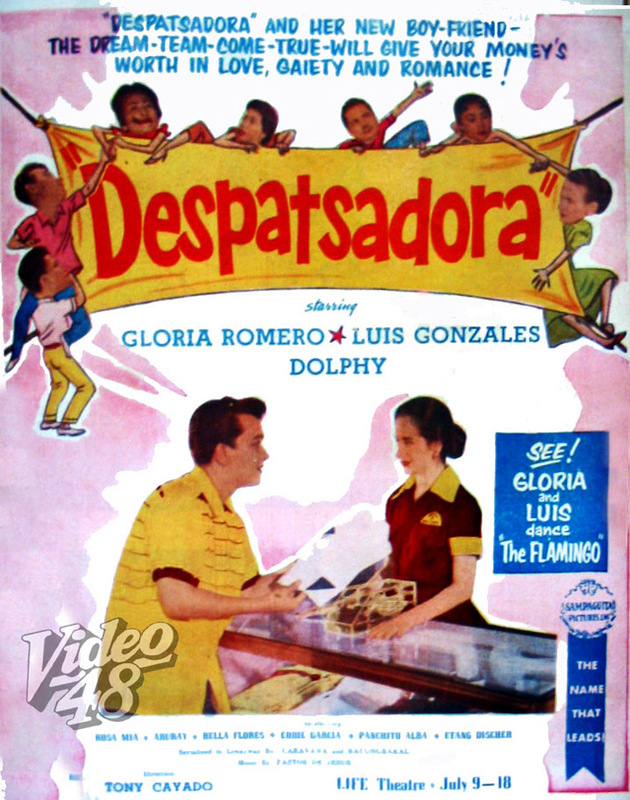 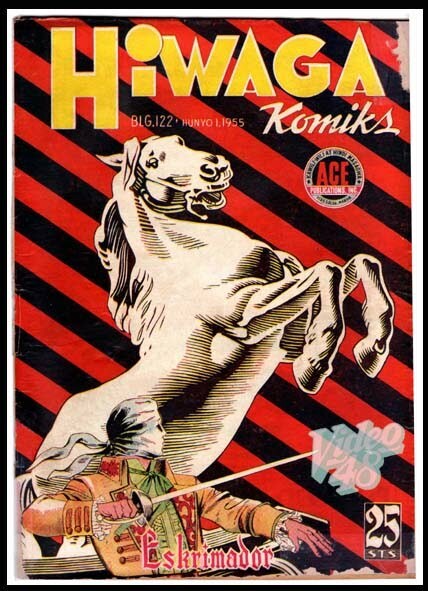 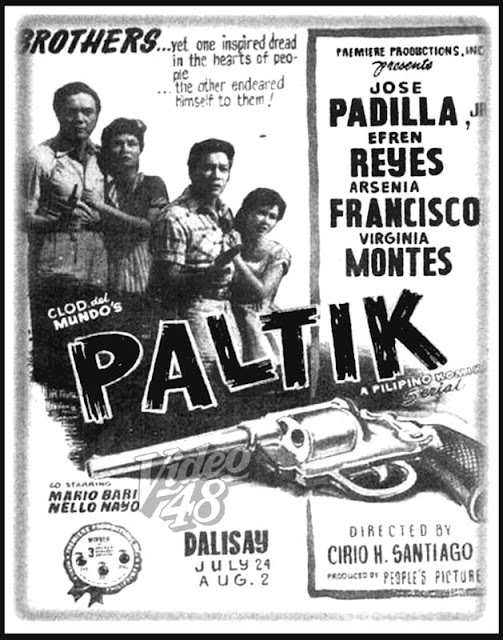 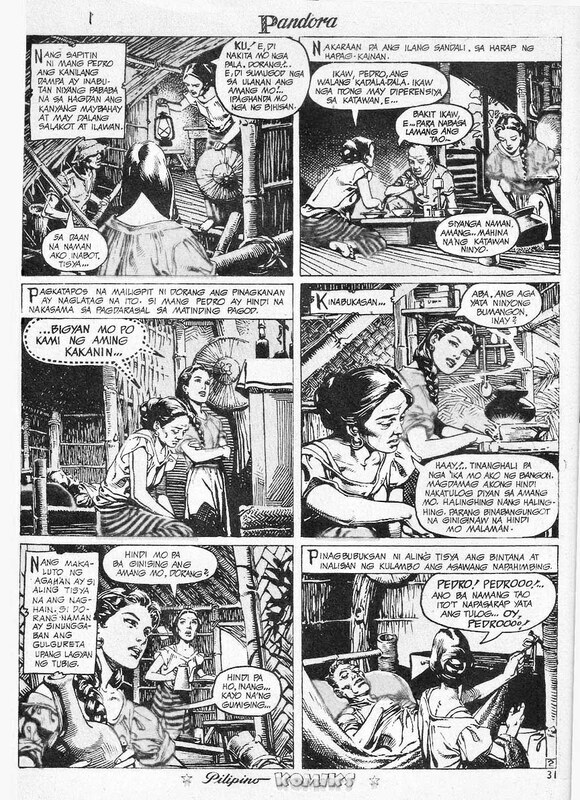 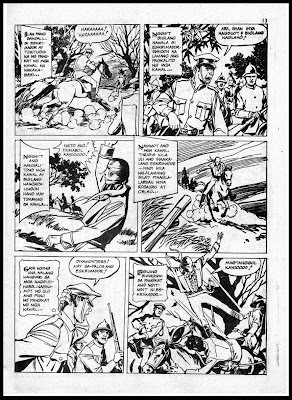 The movie was based from a komiks serial by Clodualdo del Mundo serialized in Hiwaga Komiks.